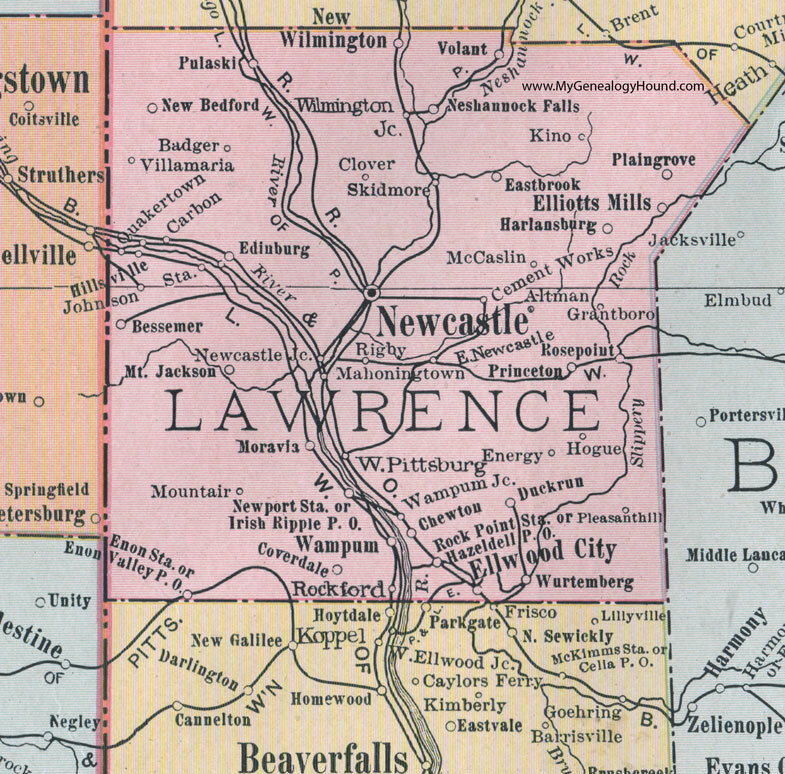 Lawrence County (pop. 91,108) is south of Mercer County, on the border with Ohio. It’s one of 11 Lawrence counties, and one of the 10 named for naval officer James Lawrence (1781-1813). 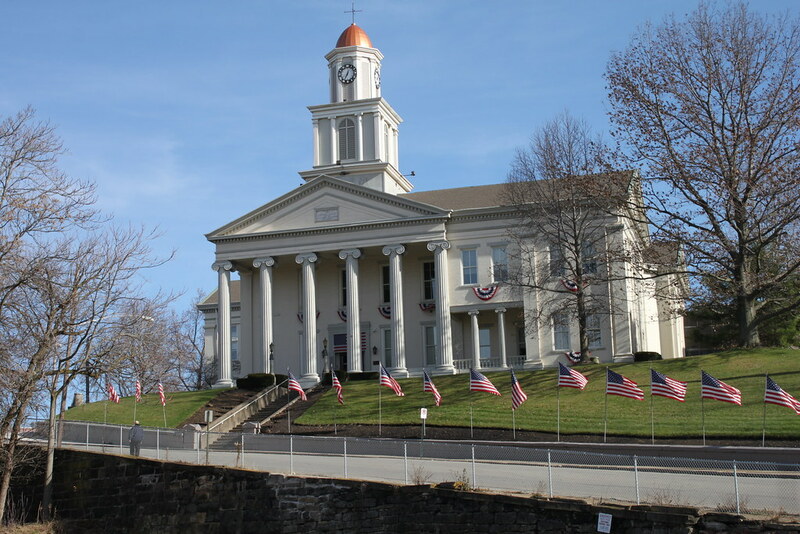 The county seat of Lawrence County is the city of New Castle (pop. 23,128). New Castle reached its peak population of 48,834 in 1950. 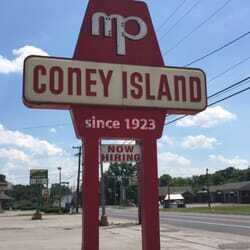 New Castle has been known as “The Hot Dog Capital of the World” and “The Fireworks Capital of America.” The city’s Coney Island hot dog business was founded in the 1920s by Greek immigrants. 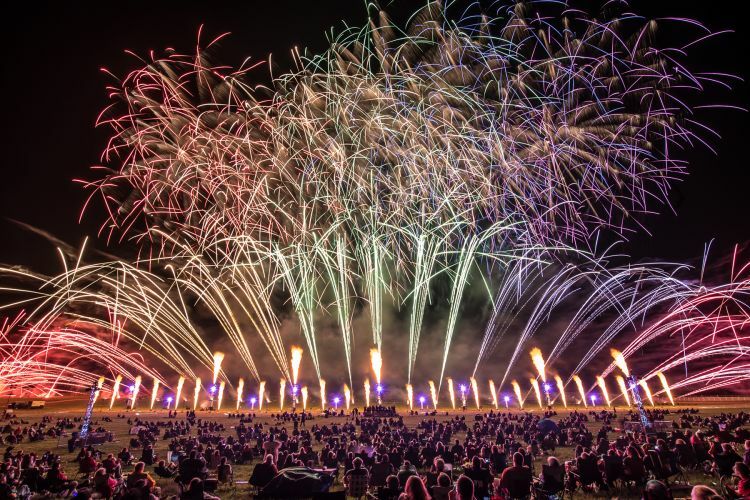 The fireworks industry in New Castle also dates from the early 20th century, and the city is still headquarters of the fireworks company Pyrotecnico. The Scottish Rite Cathedral (1925) in New Castle, with 2,800 seats, has been used as a Masonic meeting place, movie theater, and concert hall. It currently hosts a variety of special events. 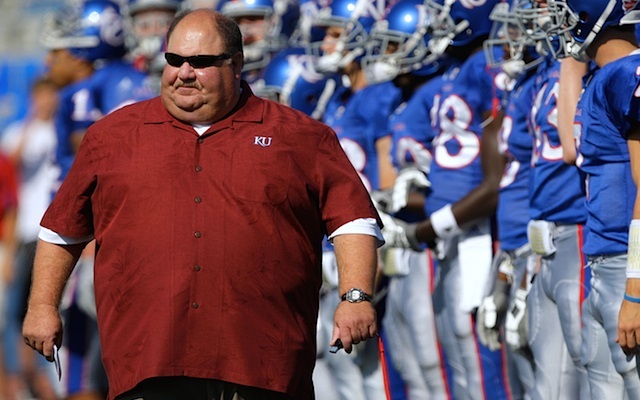 Football coach Mark Mangino was born in New Castle in 1956 and grew up there. He has been head coach at the University of Kansas and an assistant coach at Iowa State. The State Theater in New Castle is the home of the New Castle Playhouse. The borough of New Wilmington (pop. 2,466) is the home of Westminster College, a liberal arts college founded in 1852, affiliated with the Presbyterian Church (U.S.A.). The borough of Ellwood City (pop. 7,921) is the home of the Orthodox Monastery of the Transfiguration (1967), the first English-language Orthodox monastery in North America. 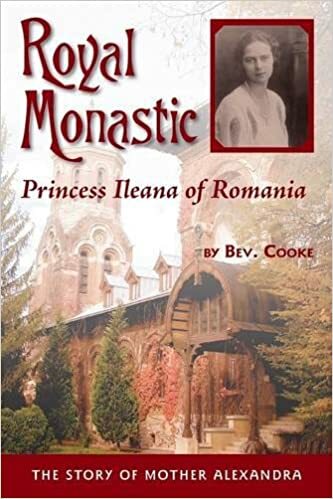 The monastery was founded by Princess Ileana of Romania (1909-1991), a great-granddaughter of Queen Victoria and of Tsar Alexander II. She was abbess of the monastery until her retirement in 1981.